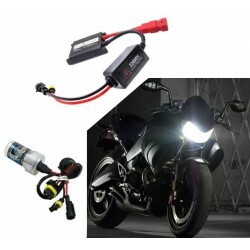 H7 Xenon for Motorcycle of 35 Watts or 55 Watts and 12 Volts. 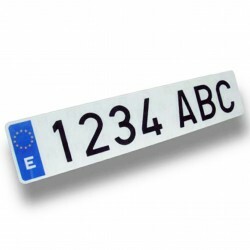 High quality and finish of the brand ZesfOr. We stock all models of xenon moto h7 in function of your needs. 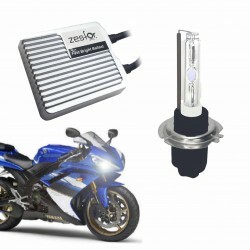 We have all the kit xenon h7 motorbike. 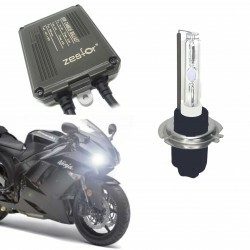 Improves the lighting of your bike with lights xenon h7. 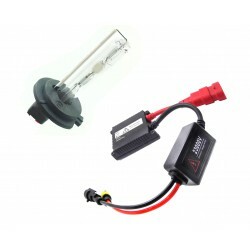 The first thing that you need to know before you install a xenon h7 for moto is if your vehicle is canbus (it has a sensor bulb is burnt out). If you do not have it we can install any xenon and if if you have we will have to install a xenon canbus h7 for moto. Of all the products you can find in this category we recommend to install the xenon professional as shortly as the most economical and gives a little light and stable with vibration. Specialists in xenon h7 motorcycle. If you have any doubt, please consult us. Kit xenon moto h7 HIGH quality. Ideal for installation on motorcycles or quads.